Wandering the isles of Home Depot down at the far end you may find a cement mixing bucket, me I see a cheap sensory bin. 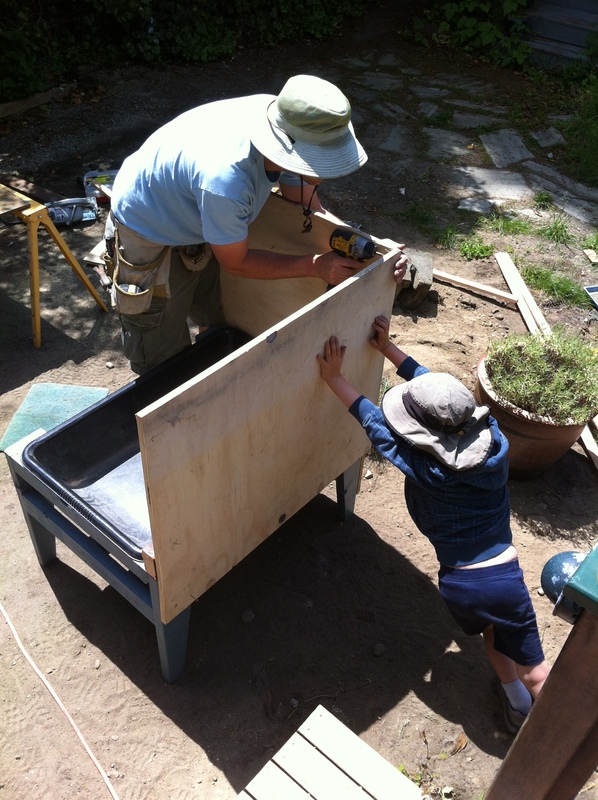 When our son was about two I asked my grandfather to build him a sensory table with a 2×4 frame and a cement mixing bucket from Home Depot. He did and it was a complete hit for a good two years. I’d fill it with all sorts of things from beans, and rice to cotton balls or chestnuts and rocks. You can find all kind of inspiration on the web and pinterest for sensory bin themes and ideas. One of our favorites was an ocean bin. Our son and many of his buddies spent hours playing in the sensory bin. However in the last year he’s lost interest and it has been gathering dust and generally in the way during our construction project. 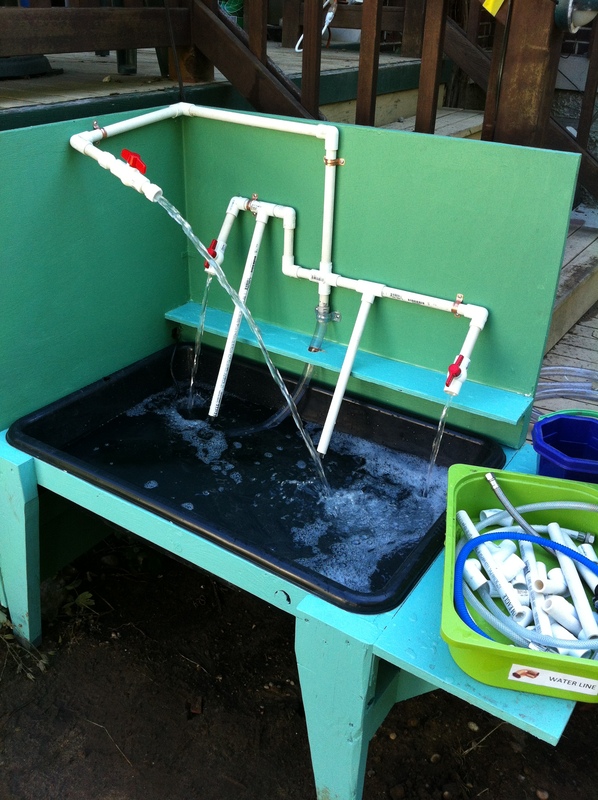 This weekend the sensory table got an upgrade to an outside water station. Our son is thrilled. 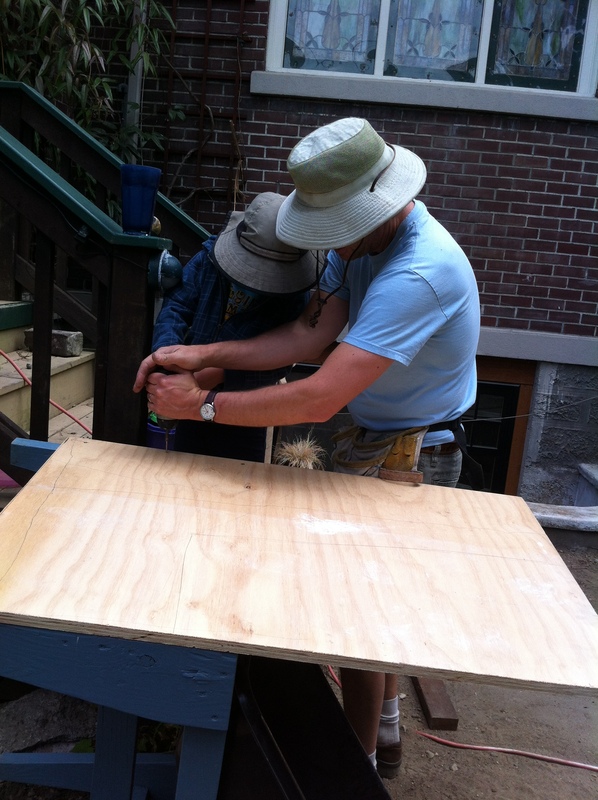 We added a shelf, two pieces of plywood and a garden fountain pump. Now the hose doesn’t have to be running all summer long, or our bathtub filled with PVC pipes and water spilling on the floor. He can spray water, hook up pipes and let the water run all day long!